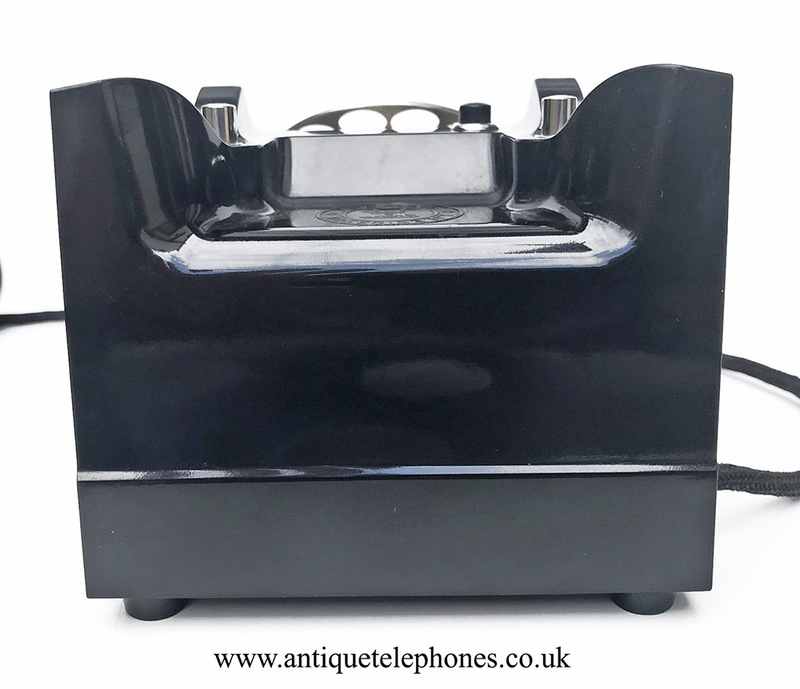 << Back Early 1930s Ericsson Bakelite telephone. Early 1930s Ericsson model. As you cn see the later GPO 300 series looks very similar. 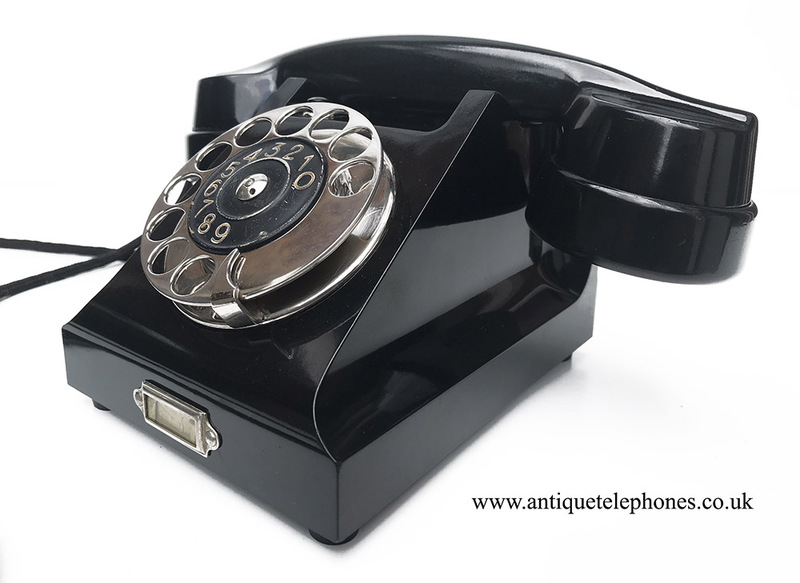 Early 1930s Ericsson Bakelite telephone. Collectors non working display item. 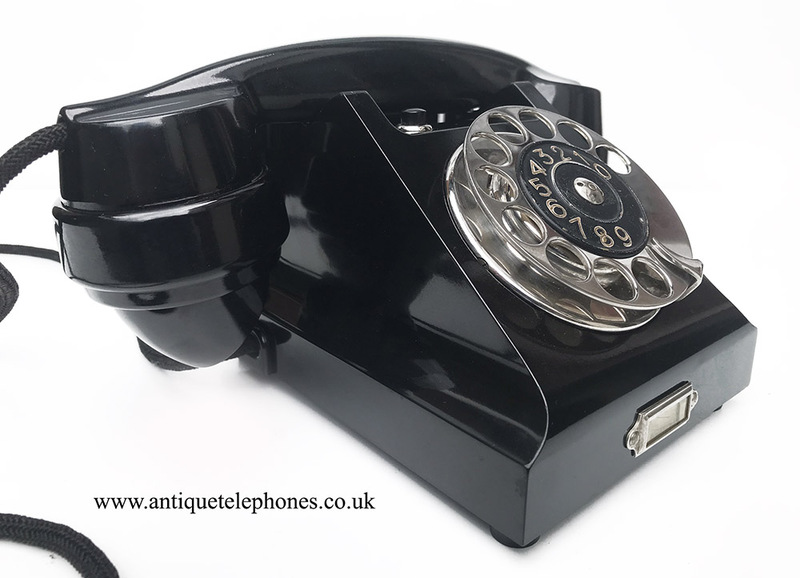 I found this wonderful little telephone recently. It looks almost like a toy because its body is so small and neat. No chips cracks or scratches. 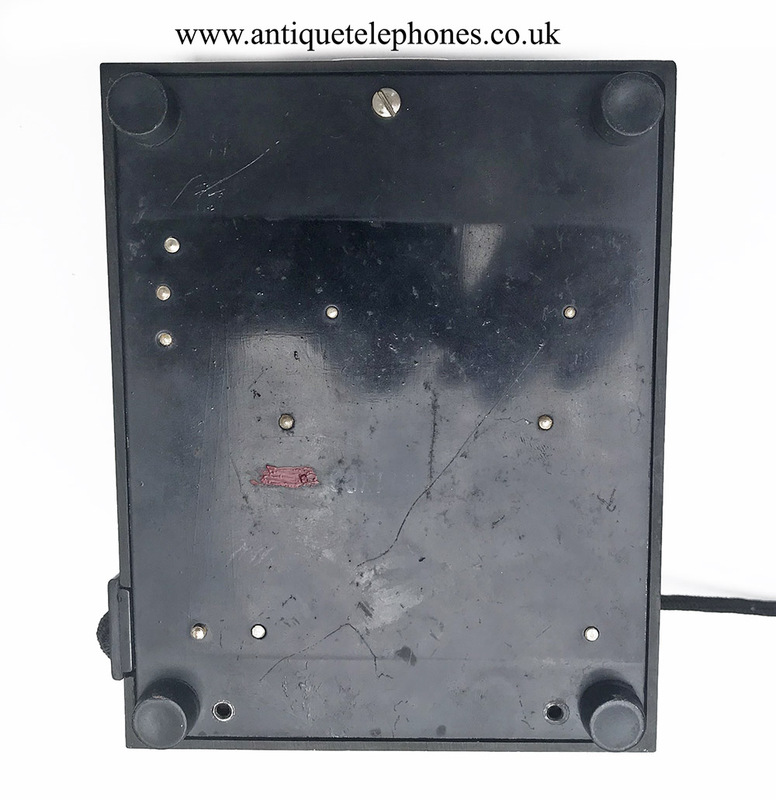 I have left this one as a collectors telephone. It appears to have the original handset cord. The quality of manufacture is quite amazing and looks like even the screws have been low volume lathe turned. The dial is wonderful and and rotates and returns perfectly. Note the dial configuration is not standard and the 0 is where the 1 would be. Even the carbon microphone looked fantastic quality. See this link to learn more about this model. 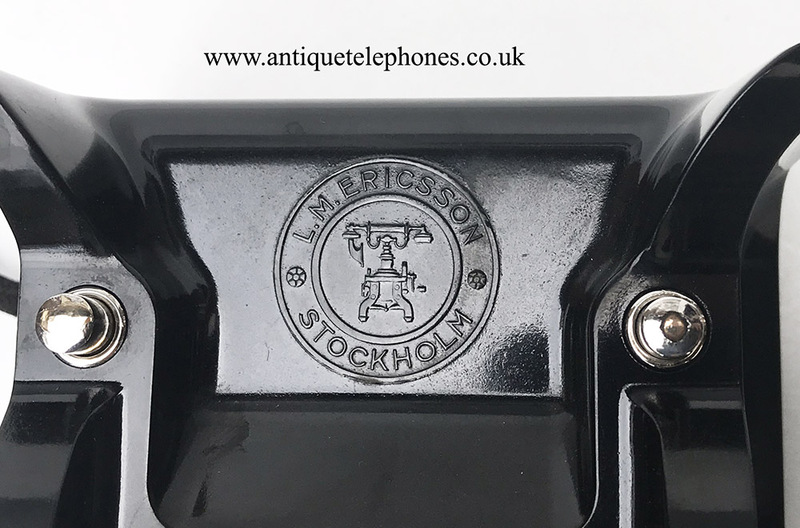 https://www.ericsson.com/en/about-us/history/products/the-telephones/the-bakelite-telephone-1931 the first picture is identical with the left button to the top. This has a button in the handset which when pressed connects the microphone. 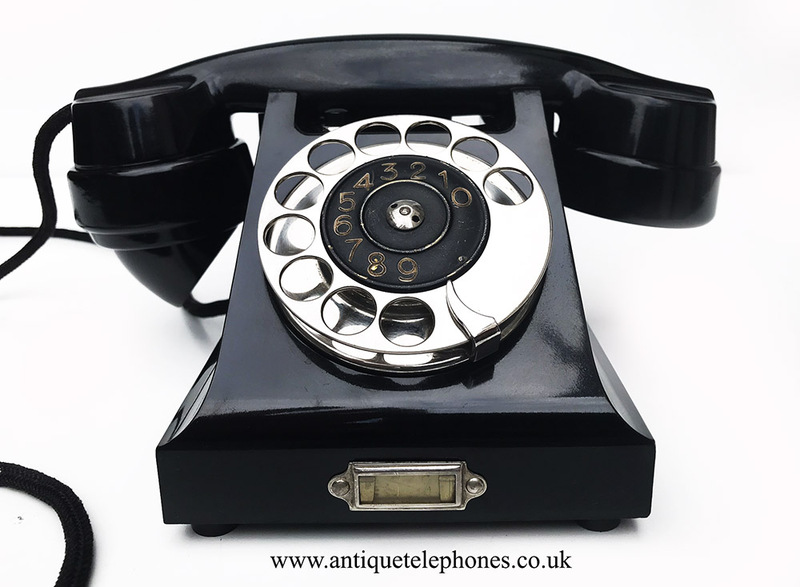 When you lift the handset you press the top button and when you put the receiver down it clicks back up. Sold as a collectors non working item. I just don't want to change anything for fear of spoiling it for a collector. I have pulled about 1 inch of handset cord into the handset where there is little fraying. I will not wire this one up to work and will leave that up to the buyer. I admit my price is a pure guess and may be a super bargain or a little expensive. 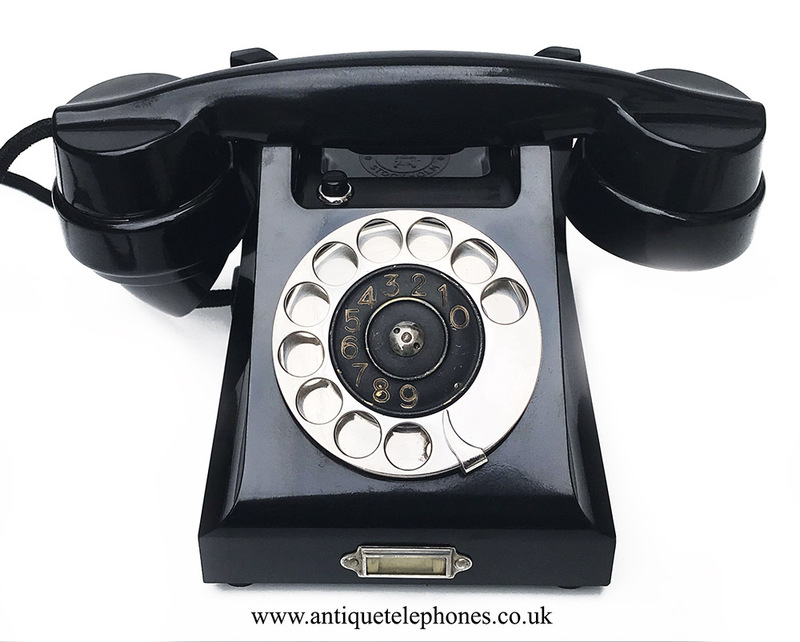 All I know is it is a wonderful well made early Bakelite telephone and imagine almost impossible to find in this condition.